1 Cup fresh thin chopped carrot. 1) Wash and peel the carrot before chopping in small and thin cubes. 2) Take chopped Carrot in mixing bowl. 3) Then add finely Chopped Garlic, lemon Juice, Green Chili, coriander leaves and Jeera Powder. 4) Mix well all the ingredients and keep it aside. 7) Keep refrigerated till serving. 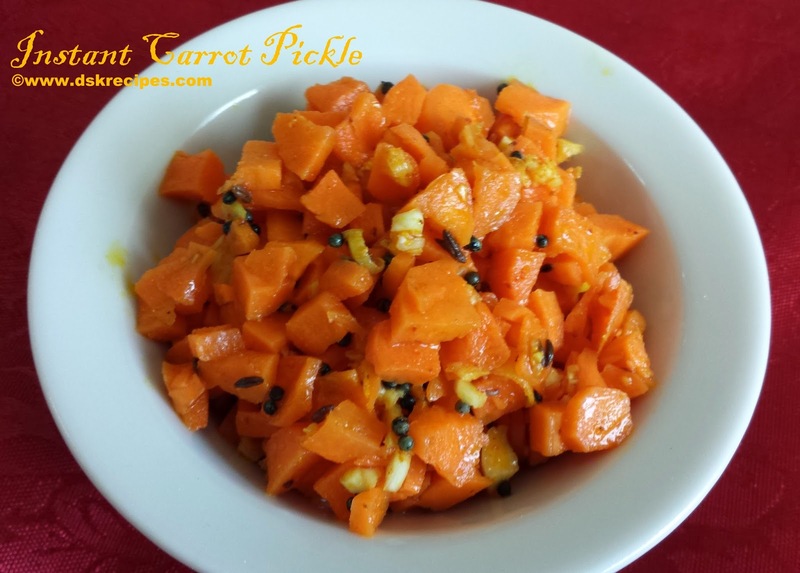 8) Enjoy your instant home made Carrot pickle with any paratha or your favorite food. Note : This pickle stays fresh for 4-5 days and if you add more lemon juice stays fresh up to seven days.